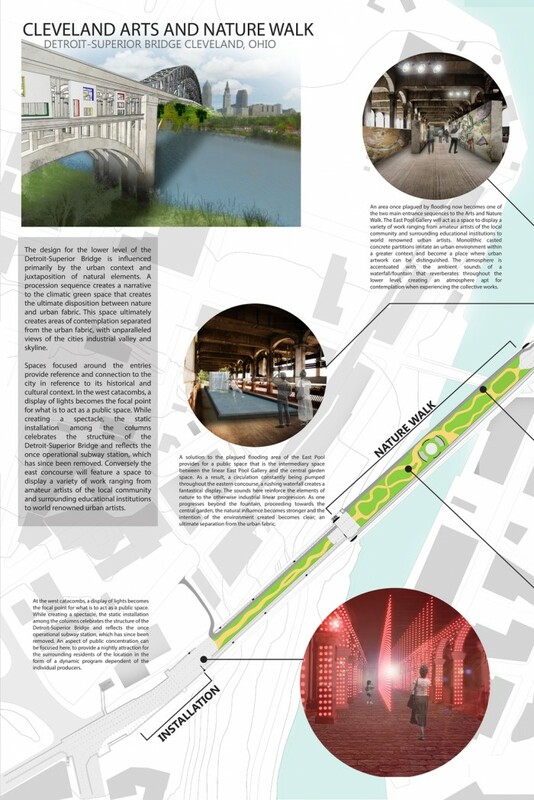 The design for the lower level of the Detroit-Superior Bridge is influenced primarily by the urban context and juxtaposition of natural elements. 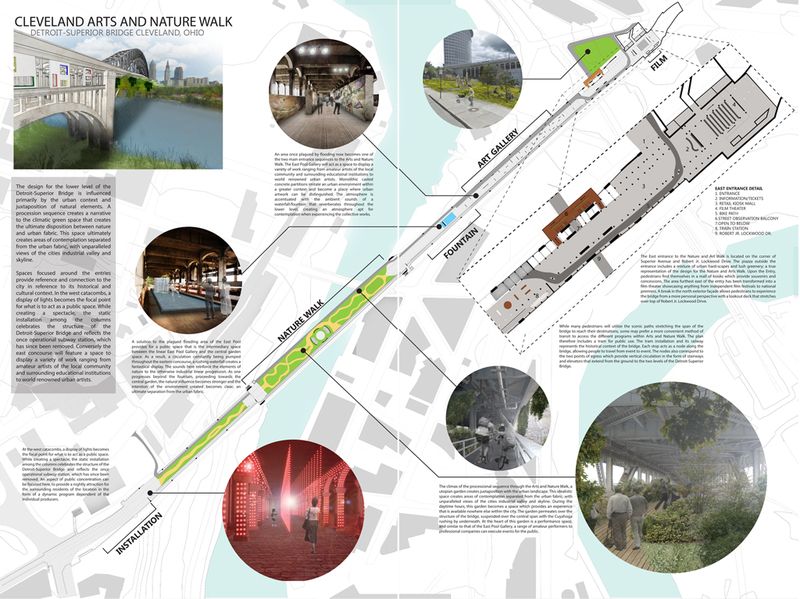 A processional sequence creates a narrative to the climactic green space that creates the ultimate disposition between nature and urban fabric. This space ultimately creates areas of contemplation separated from the urban fabric, with unparalleled views of the city’s industrial valley and skyline. 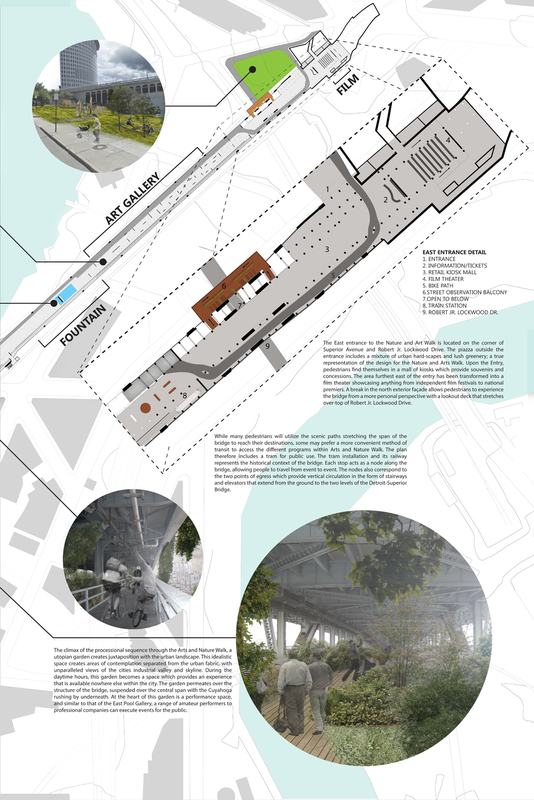 Spaces focused around the entries provide reference and connection to the city in reference to its historical and cultural context. In the west catacombs, a display of lights becomes the focal point for what is to act as a public space. While creating a spectacle, the static installation among the columns celebrates the structure of the Detroit-Superior Bridge and reflects the once operational subway station, which has since been removed. Conversely the east concourse will feature a space to display a variety of work ranging from amateur artists of the local community and surrounding educational institutions to world renowned urban artists.